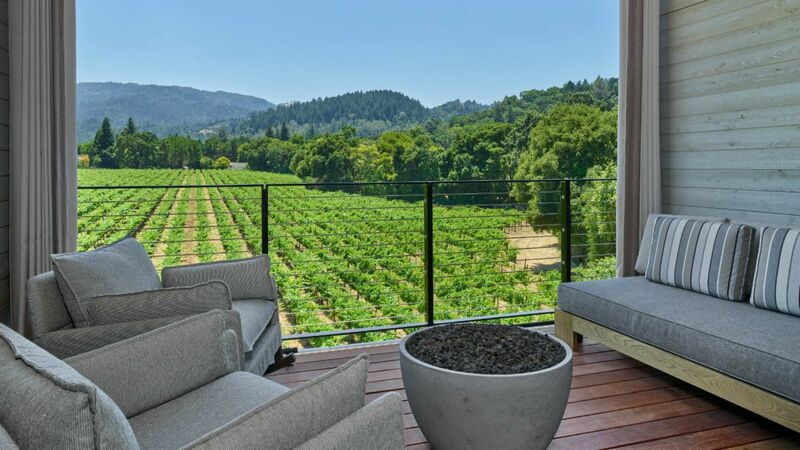 For the first time in seventeen years, there is a brand new boutique hotel in Napa Valley. They just opened a few days ago and I was lucky enough to be one of their very first guests. Since the construction dust is still settling, I shot some of the first and only images of this remarkable new property. 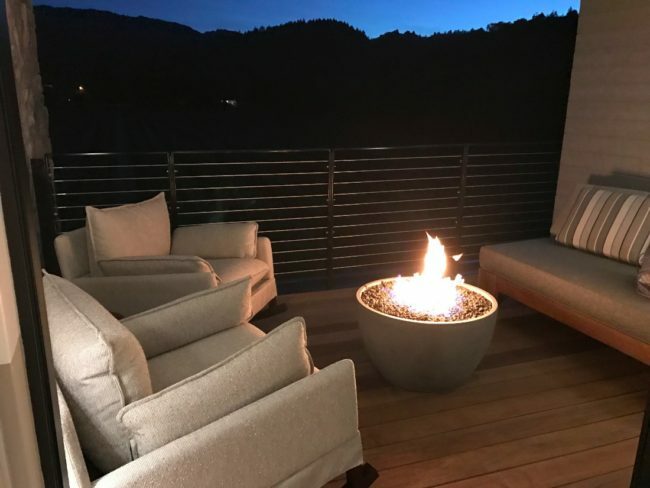 What was once a farm house at the top of a hill in Napa Valley is now the entrance to the hottest hotel to open here in years. The anticipation has been so intense that this little hotel was on the New York Times list of 52 Places to Go in 2017 – and they had the entire world from which to pluck just 52 places. The interiors are by design superstars Yabu Pushelberg and the restaurant is helmed by celebrity chef Chris Cosentino. Could any place really live up to this much hype? Calling them merely “Vineyard View Rooms” is to grossly undersell them. Many hotels in the area offer rooms that are a “short walk” to a vineyard or where guests might spy a sliver of vineyard in the distance. 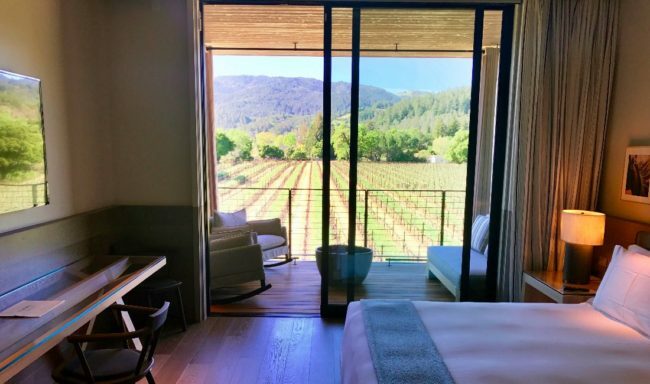 The vines outside Las Alcobas Napa Valley are as much a part of the room as the bed or the night stand. They take center stage and fill the room with the warmth of the California sun itself. 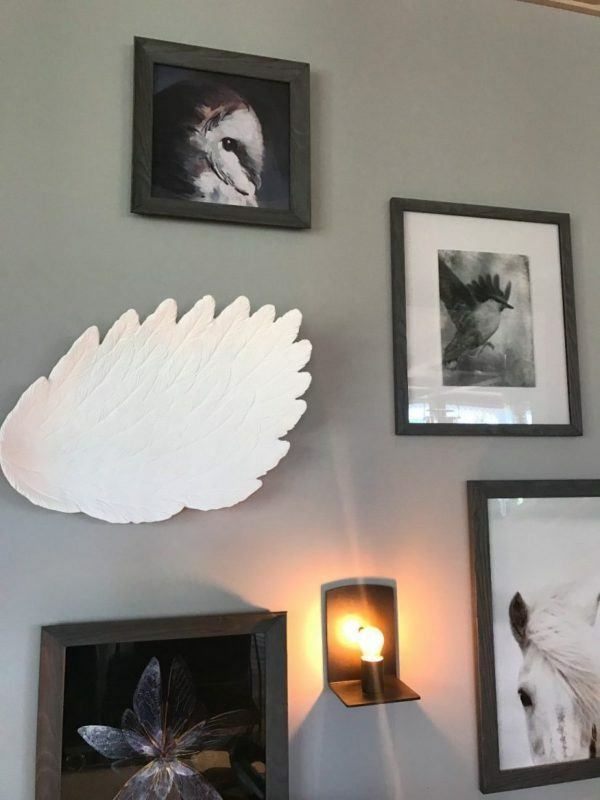 Each room features specifically chosen custom art. The finishings are Pacific Northwest natural meet California chic. 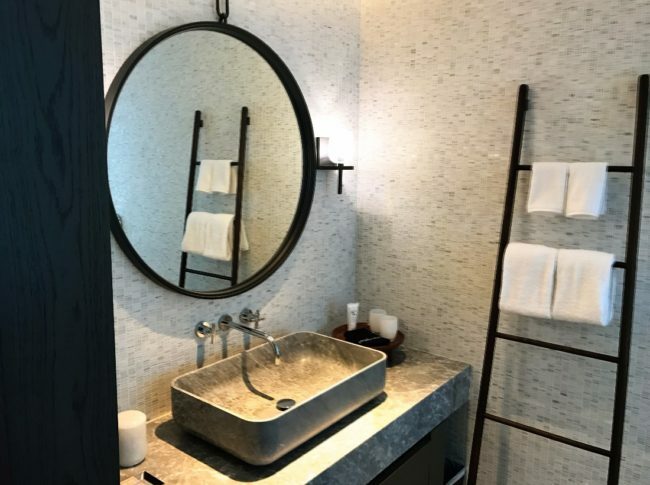 For design lovers, the bathrooms with their custom sinks and stone are a vision, a separate toilet room down the hall solves the problem many couples face when trying to share just one bathroom. And the Toto toilet lifts the seat, cleans itself and heats up when it senses your arrival. Atrio Spa is another example of the Goldilocks perfection of Las Alcobas Napa Valley, it’s neither too big, nor too small. The decor is all modern and the treatments are all ancient. The therapies they use range in age from 2,000 to 5,000 years old. 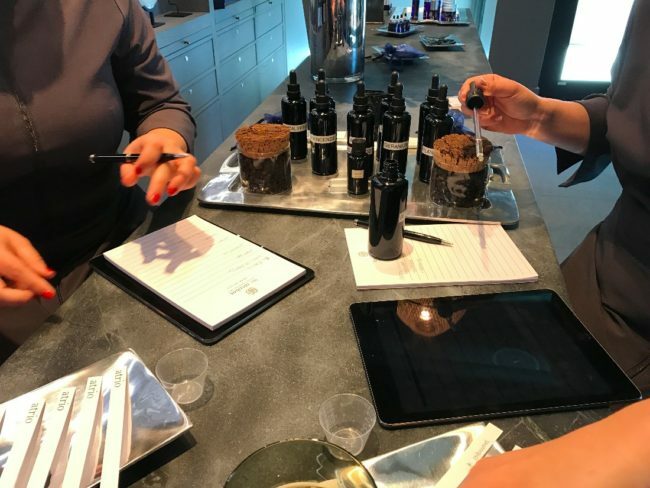 Massages begin by mixing your own massage oil from organic herbal oils. 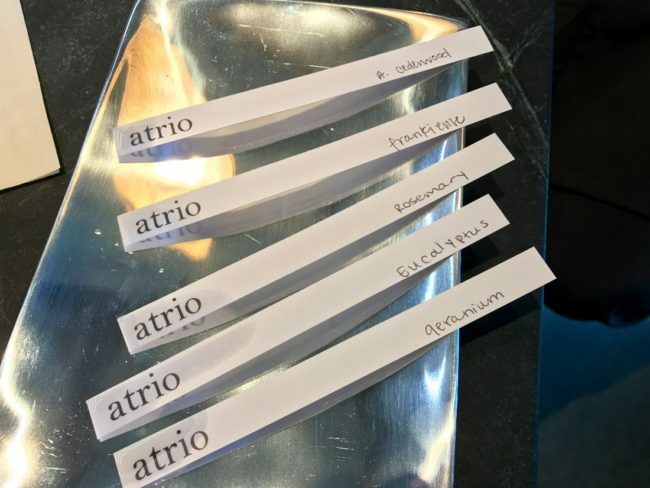 These oils range from wood scents to lemon and orange, your custom blend is used during your treatment and you’re sent home with your own bottle to remember your time at Atrio. I named my oil “California Dreaming”. 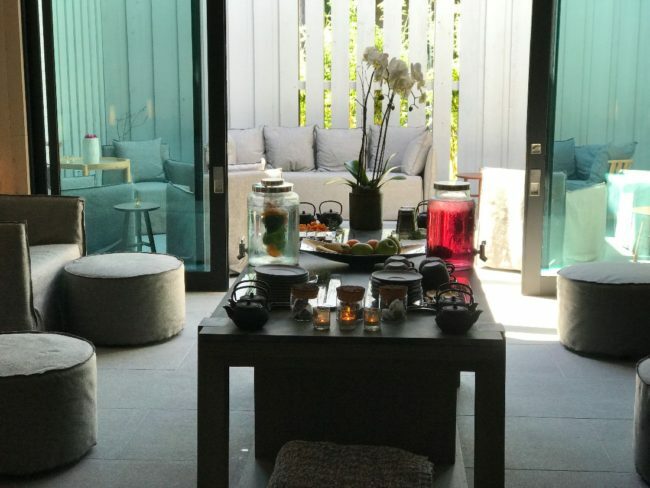 The relaxation area is both indoor and out, the chairs are not singles and not doubles, but are somehow the perfect width to snuggle into while wrapped in a plush robe. There is spacious co-ed steam room and al fresco cold showers. I tried the Lomi Lomi massage, an ancient Hawaiian tradition, it was a little Swedish, a little Thai and overall, amazing. If you read my blog you know I’m not a foodie, but Chefs Cosentino and Bates may have forever changed me. 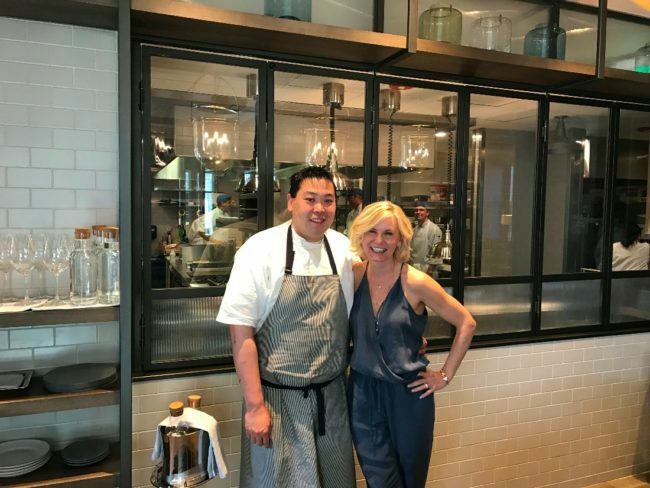 Chris Cosentino is the celebrity behind the brand, but Executive Chef Thanawat Bates is the man in the kitchen, and frankly, in my heart. The restaurant won’t be open to the public until May and right now the menu is on the limited side. It’s so extraordinary, it doesn’t matter. 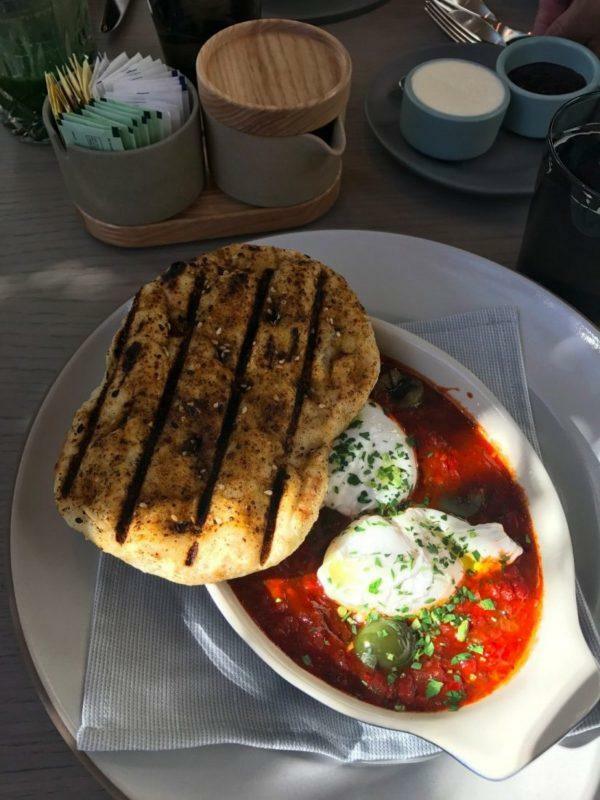 At breakfast I recommend the Purgatory – baked eggs in a spicy tomato sauce. Side note, order the green juice with the jalapenos, to die for. For dinner, the Waygu done au poivre with hand made onion rings is like nothing I’ve ever eaten. In fact, I could be convinced I’d never had steak before. 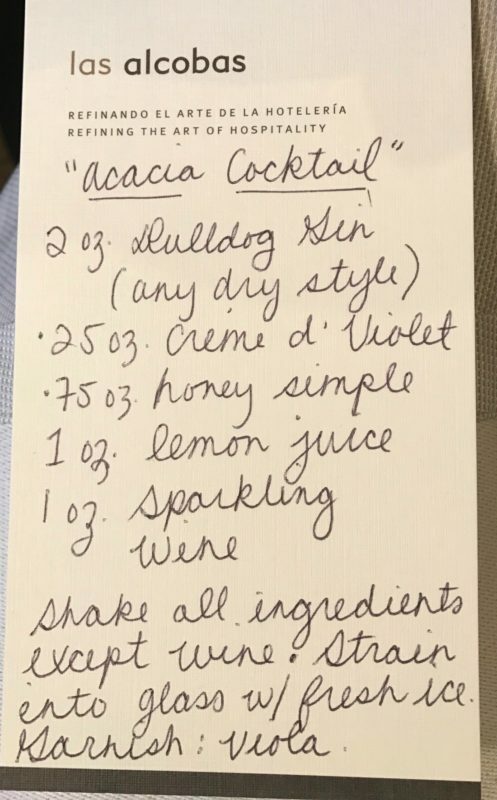 I’ve never been a gin lover, so when they delivered their signature cocktail, the Acacia House, I planned to sip politely and move on. 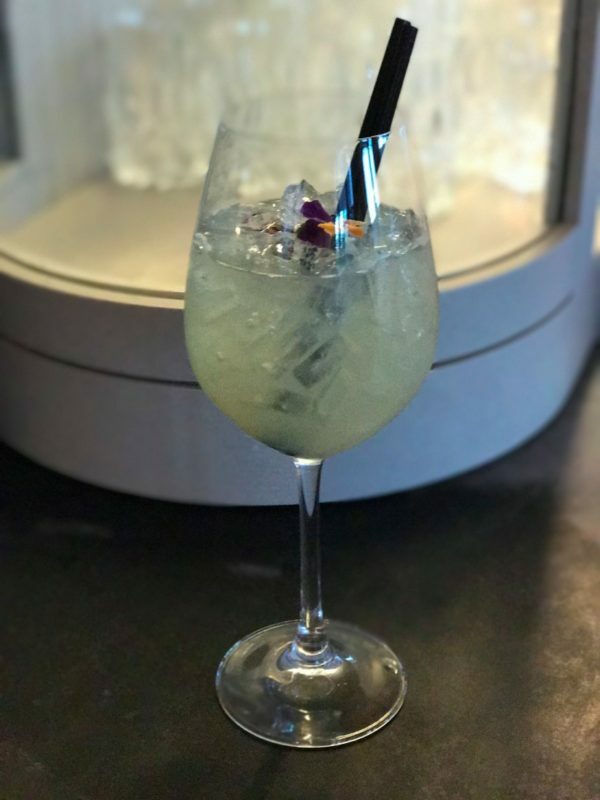 Just like everything else at this property, the signature cocktail is perfect. It tastes like rolling down the car window and catching a fresh breeze after a hot day at the beach. There is a fitness room, it’s not huge but it has everything you might need. The outdoor pool has a view of the vineyards. They will be opening suites in Acacia House, I have not seen any renderings, if they hold up to the standards already set, they will certainly be spectacular. The hotel is in St. Helena, well regarded to be the toniest town in Napa. The hotel is walking distance to the charming downtown. I recommend Pearl Wonderful Clothing for something new to wear and Pavati for a little something sparkly around your neck. The jeweler will even deliver to your hotel, don’t tell Mr. LTM how I know. 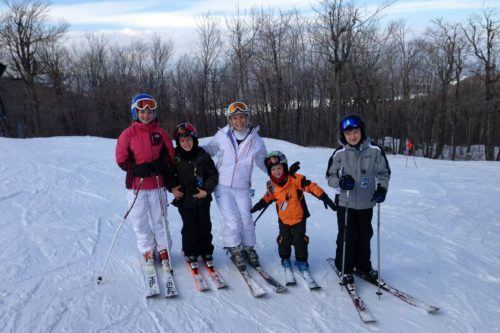 Rooms are starting at $695 per night. I would say that the room I stayed in will run around $900 per night in season. If you are interested in booking, let me know, I’d love to help you. 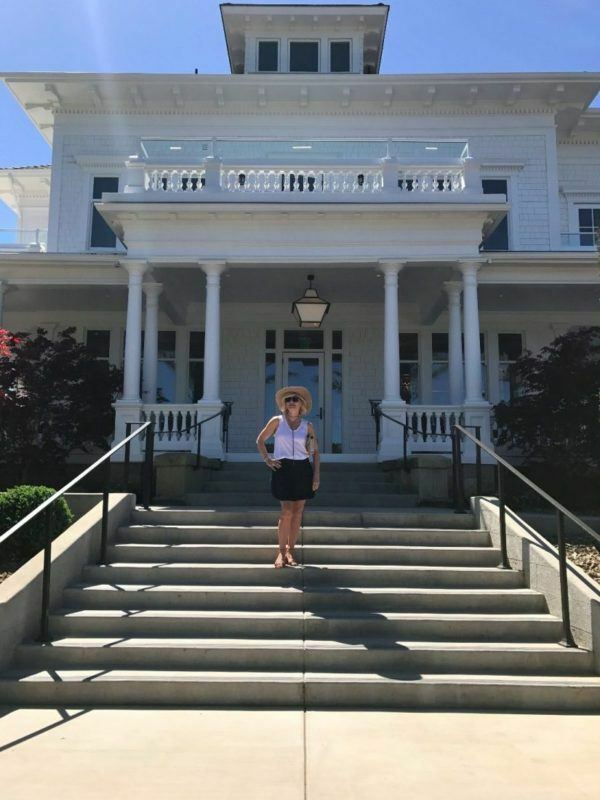 I was hosted by Visit Napa Valley for a magazine story I’m doing on “What’s New in Napa”.